Dr. Hooman Melamed, Director of Scoliosis at Marina Del Rey Hospital, is a highly regarded and board-certified orthopedic spine surgeon who can handle most of your spinal treatment options. The reviews listed below were collected independently of Hooman Melamed, MD through rater8. Each review represents an authentic and verified patient experience. Simply amazing at what he does! Dr Melamed is awesome! Very professional and down to earth. Takes the time to explain procedures and options. Always kind, precise, thorough and will explain everything you need to walk out of the visit feeling reassured you’re in the best care. 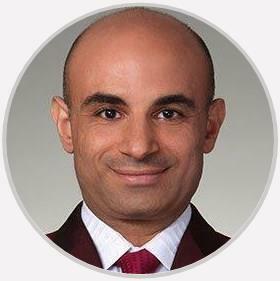 Such a caring, passionate, & personable spine surgeon. Trust me when I say he will exceed your expectations!! His skills are impeccable and so is his attention to detail. I am so happy we crossed paths, God blessed me with this provider hands down. Wonderful and the most down to earth doctor, he took his time to listen to my problems very carefully . Then explained the surgery procedure clearly and all in very professional way .